Earlier this morning, The Wall Street Journal (WSJ) reported the US and China are close to a final trade deal. The result has been predictable in early morning Asian markets as traders rub the sleep from their eyes. At the time of writing, S&P mini futures had raced 0.4% higher, Australia’s ASX 200 futures were up 0.25% and the Nikkei was also up in early trading. The currency markets have also responded to the lower US dollar. Both the Aussie dollar (AUD) and off-shore China yuan (CNH) are up 0.3% against the greenback already. Regional stock markets, currencies as well as energy and commodities could also benefit from the tailwind today. On the other hand, precious metals could suffer following last Friday’s fall, as buoyant stock markets and reducing risk premiums erode safe-haven pricing. This morning’s news reinforces the view that from a short-term macroeconomic perspective, the US-China trade deal (or not) is the only game in town. It is, however, a busy week globally on the data front. We have a plethora of central bank rate decisions, starting with the Reserve Bank of Australia on Tuesday, Bank of Canada on Wednesday and the European Central Bank on Thursday. 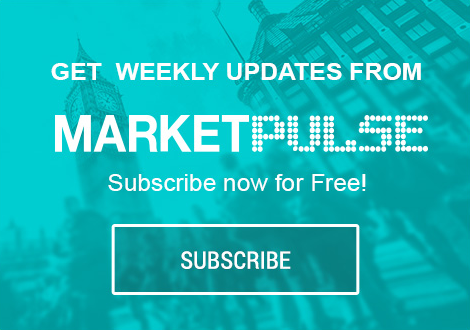 The Australian GDP and China’s trade balance will be local highlights before the week culminates with the US non-farm payrolls – the street is pricing in 180,000 additional jobs plus a possible revision to last month’s monster print. Unsurprisingly, the dollar has started the week on the back foot in early trading following the trade-talk reports. Risk-seeking flows could push further into high beta China currencies such as AUD, NZD and CNH. Regional currencies could also benefit, possibly strongly, as investors pile into emerging market-recovery positioning. Friday saw Wall Street enjoy a good day on trade-talk hopes with the S&P closing up 0.7% and all three major indices breaking their multi-day losing streak. That theme continues in early trading following the WSJ article, with the S&P, ASX and Nikkei all comfortably in the green. Regional indices should all follow their lead today as the feel-good factor is shared. Barring any denial headlines, this should follow on into Europe as well. Crude’s golden run ran into a brick wall on Friday as stale long positioning and threats of increasing US production saw Brent Crude fall 2.1% to USD64.75 a barrel. WTI fared even worse, falling 2.6% to USD55.50 a barrel. The WSJ article, if right, should provide a welcome boost to oil today however, as the prospects of improved trade flow through to predicted higher energy consumption. The early trading in WTI futures seems to agree, rising 0.7% in initial trading. Gold collapsed by 1.6% on Friday, falling USD22 to close at 1,293.00 a Troy ounce. Buoyant stock markets and risk premium reduction saw traders with medium-term long positions throw in the towel. Selling accelerated as the key USD1,300.00 support level gave way and more stop-losses came to the market. Gold could be in for a tough day at the office, despite the fact it’s risen 0.15% to 1,295.00 in early illiquid trading, likely on a weaker dollar this morning. With investor funds likely following to emerging markets and commodities on a knee-jerk China recovery play, gold could be moved to the substitutes bench in the short term.